If you’re planning on kicking off summer with a getaway, you’re not alone. In a recent survey conducted by Travelocity, almost 40% of Americans traveled over Memorial Day and 4th of July weekends, with 77% of them planning to travel by car. Before you hit the open road, be sure to start the summer travel season off right by preparing for your adventure. Spending some time getting ready will help ensure a safe, fun and stress-free road trip. In today’s digital world, planning your route can be as simple as pulling up an app or opening Google Maps. Take a few minutes to map your route ahead of time, then let a trusted friend or family member know exactly where you’ll be driving to and when you plan on getting there. In addition, check weather conditions and road closures along your chosen route before you leave. 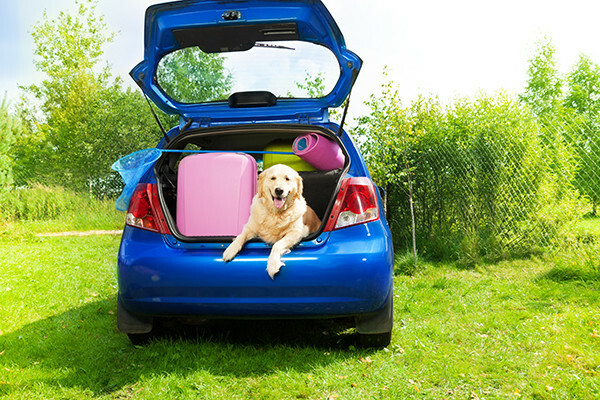 When you’re packing up the car, don’t put the emergency kit in first. Instead, wait until everything else is securely stowed before placing the kit in the trunk. That way, you can easily access it in case of an emergency. If you can safely get out, place flares about 50 feet behind your car to alert other drivers. Don’t, however, leave the car by the road while you’re waiting for help; generally, it’s safer to stay with your car than to be a pedestrian. If a stranger pulls over while you’re waiting for help to arrive, remain in the car with your doors locked. Roll the window down a bit and let them know help is on the way. When you’re on the road, remember every occupant needs to be buckled up at all times. Not only is this the law, but seat belts save lives… more than 12,000 a year, according to the National Highway Traffic Safety Administration. The safest place for kids under age 12 is in the back seat. Finally, if you feel fatigued, switch drivers or pull over to rest.